is more interested in four sandwiches than four freedoms. 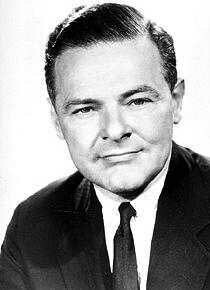 Born in Nahant, Mass, Lodge, the grandson of Henry Cabot Lodge, he worked as a journalist before being elected to the Massachusetts legislature from 1933 to 1936. Elected to the U.S. Senate in 1936 and reelected in 1942, he served until his resignation to enter the army in World War II. Lodge was returned to the Senate in 1946, but in 1952, despite the nationwide Republican landslide, he was defeated by the Democrat John F. Kennedy. An early supporter of Dwight D. Eisenhower (he was his campaign manager in 1952), he was then appointed (1953) U.S. representative at the United Nations, serving until 1960. In 1960, he was the Republican candidate for Vice President on the unsuccessful ticket headed by Richard M. Nixon.